At Walton, Theiler & Winegarden, LLC, we believe it’s never too early to prepare for the future. Estate Planning ensures that you, your family, and your assets will be taken care of no matter what happens. Our professional Estate Planning attorneys have built a strong reputation for quality customized Estate Plans; serving residents of the greater Kenai Peninsula from all different walks of life for over 20 years. Because every family has different financial backgrounds, family dynamics and priorities, our firm is dedicated to critically listening to your unique situation and committed to understanding your preferences before the planning process begins. 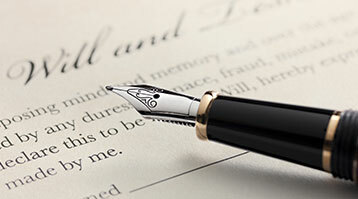 Our attorneys can prepare important legal documents for you such as Living Trusts, Wills, powers of attorney, and health care directives to ensure that your wishes are put in writing and made official. Contact Walton, Theiler & Winegarden, LLC to setup a consult with an attorney specialized in Wills & Probate Law.